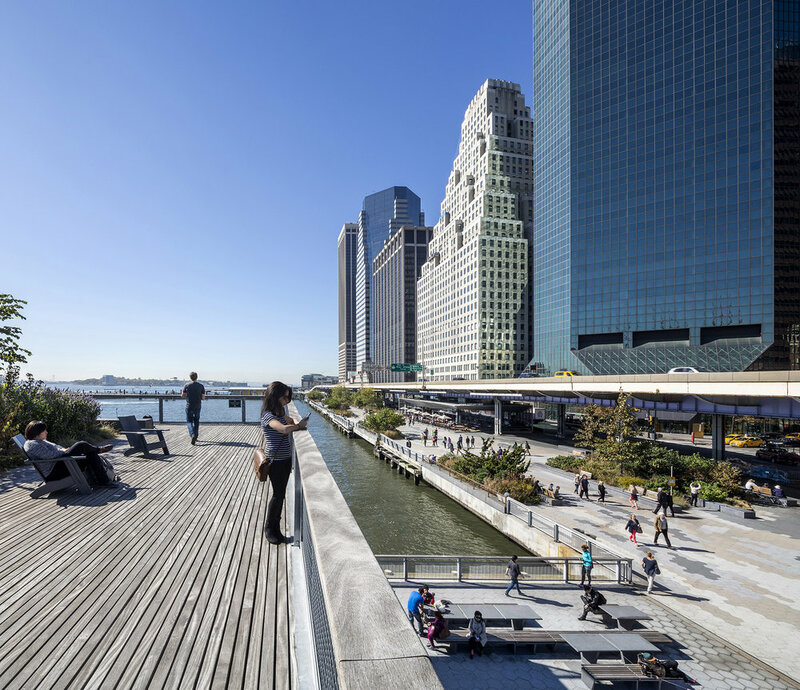 Part of the East River Waterfront project encompassing 14 million sf of public space, Pier 15 takes cues from New York City’s tradition of two-story recreation piers of the late 19th and early 20th centuries. Open recreation space is elevated to a second level deck, restoring views of the waterfront, harbor, bridges, and nearby historic ships. The second level also frees space below for ship docking, popular cafes, a maritime education forum and a stepped “lookout,” allowing Pier 15 to function as both a park and a working pier.